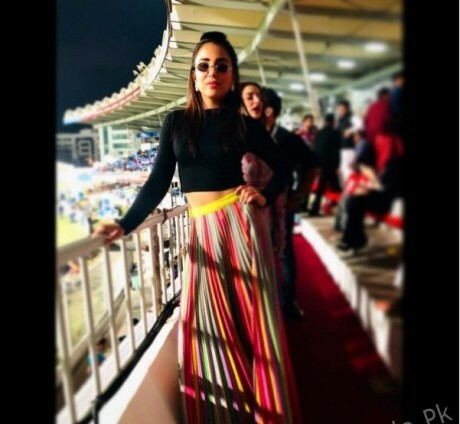 The opening ceremony of T10 league second edition was conducted in Sharjah Cricket Stadium with the colorful environment and the music and dance. After the first match of this edition was played, in which Rajputs got tremendous success of 10 wickets over Sindhis as this was the first showpiece of 12 days event. The government officials, team owners, members of Emirates Cricket Board (ECB) and Bollywood celebrities attended the opening ceremony. 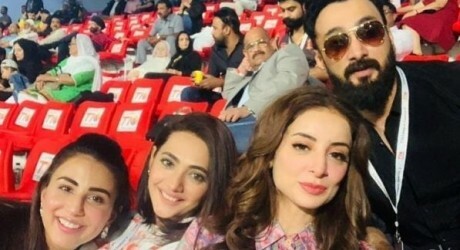 Many Pakistani celebrities including Ushna Shah, Umair Jaswal, Meera, Suzane Fatima, Ayesha Omar and Sarwat Gillani attended the opening ceremony of this mega event. 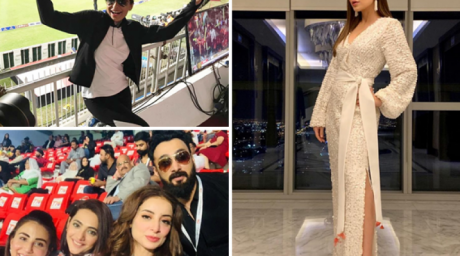 The pictures are shared on social media, in which the Celebrities in T10 League Opening Ceremony in Sharjah were shown. Dr Shaikh Majid Bin Saeed Al Nuaimi, chairman of Ajman Ruler court, with top cricketers from all over the world inaugurated the opening ceremony of this mega event. This is the shortest format of cricket and people like the most aggressive batting and performance of the talented and hard hitters from all over the world in this shortest format of cricket. The teams of Bengal Tigers, Kerala Knights, Northern Warriors, Maratha Arabians, Pakhtoons and Punjabi Legends are going to compete with each other in the 10 overs thrilling matches.